My colleague and I have been developing runbooks for the past couple of month for automating business services. During this time we have written close to two hundred runbooks. 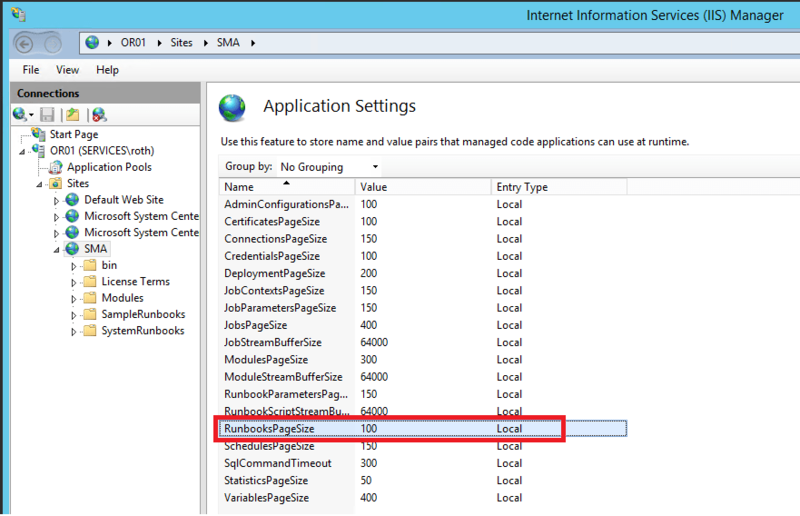 Key application in triggering the runbooks is System Center Service Manager (SCSM) in conjunction with Cireson’s SMA Connector. 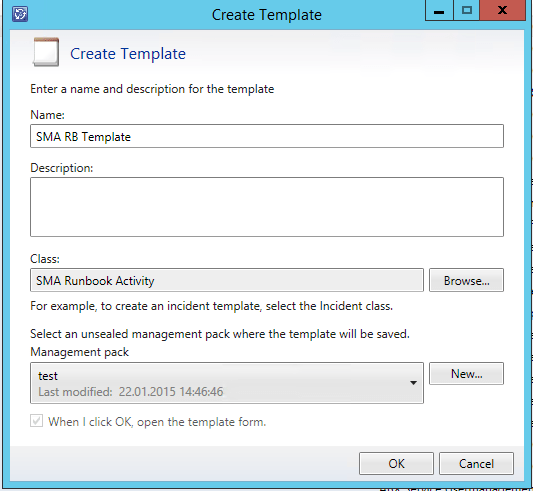 This works great up to the past month when we discovered that not all runbooks were showing up when we were creating SMA runbook templates in SCSM. 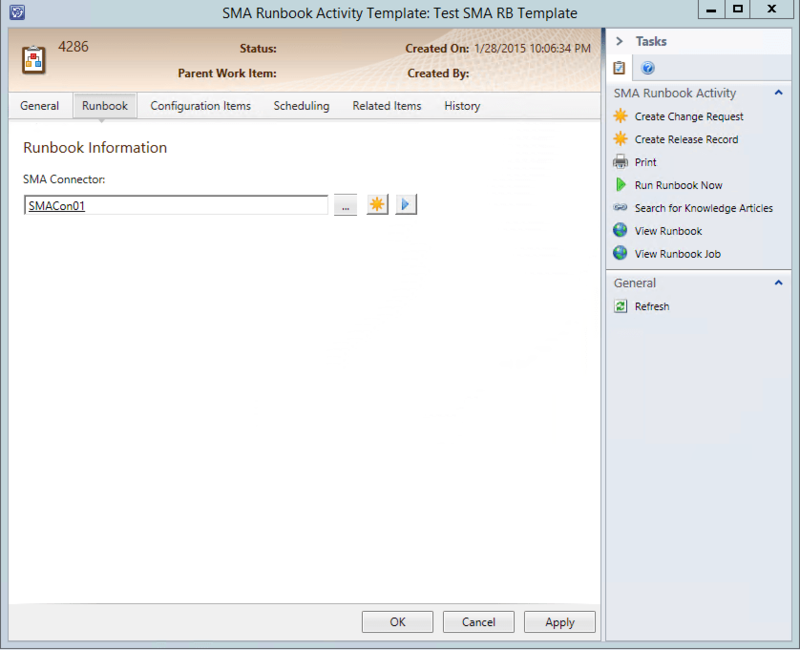 Next, in the dialog select the Runbook tab and select the SMA connector in this example SMACon01…. Another dialog pops up and you need to select a runbook. The problem was that the runbook was not visible in this list. A possible problem could be that the runbook is not published in SMA, which was not the case. One workaround was, that we deleted the runbook in SMA and re-created it. After a while the runbook would appear some times and some times not. We checked the SMA database, restarted the SMA services, SMA IIS services but nothing really helped. After a while we figured out it must me a SMA web service issue. My colleague and automation guru Fulvio Ferrarini finally found the solution (all credits to him for this solution). 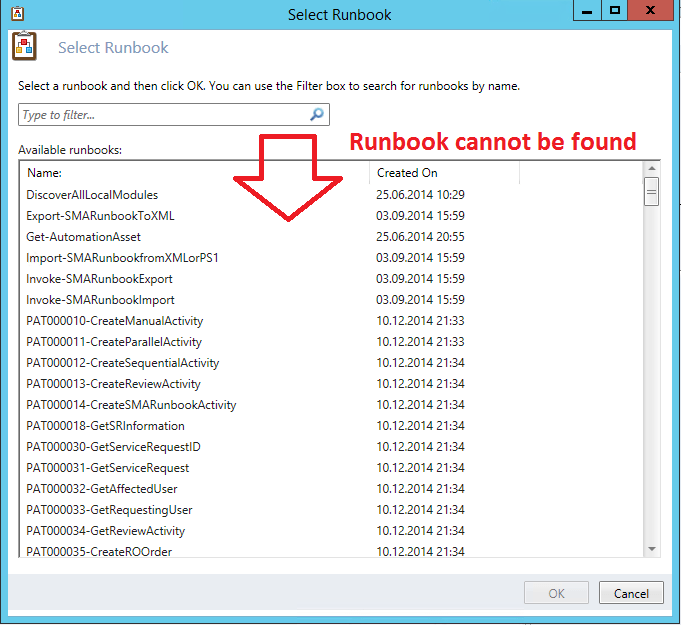 It seemed that when SMA connector was requesting the runbooks, the SMA web service was limiting the number of entries that are returned by the request. Exactly this behavior is described in a MSDN article https://msdn.microsoft.com/en-us/library/dn688368.aspx. For performance reasons, the Service Management Automation web service limits the number of entries that are returned by a single request. If you want to retrieve a number of members of a particular collection that exceeds the maximum number for that collection, then you must retrieve multiple pages using multiple requests. For most kinds of objects this limit is 50, but it can be changed through the configuration of the Service Management Automation application in Internet Information Services. The number of entries returned from the Service Management Automation web service in a single request can be changed using the following procedure. After this change all “missing” runbooks appeared. We have not fully tested this setting and need still some more time to verify it. So make these changes at your own risk and test it in your lab first!